In 2018, Poland celebrated the centenary of its independence. Although its history started two years later, in 1920, the polish naval aviation opened its doors for this unique occasion to remind all of the importance of its daily missions. In 2014, after many structural and qualitative changes along more than 90 years, the Polish naval air force nevertheless experienced a profound change in its management. The command of the latter, like The Air force and the Army Aviation Brigade, were indeed under the direct authority of the General Command of the forces. An important change largely discussed by the political forces currently in power in Poland which declare themselves ready to modify the structure again in order to return partially to separate commands. A relatively lesser known section of the Polish Air Force, the Polish Naval Air Force has two naval air bases which are attached to the Naval Brigade, whose headquarters are in Gdynia. The 43rd base is located in Babie Doły (a Gdynia suburb): an aerodrome from which the MiG-21bis has been operating for many years, the Navy having had its own fighter jet unit. This base is now home to W-3 helicopters for SAR – Search and Rescue -, Mi-2 for training and some SH-2G for anti-submarine warfare (ASW). The site also hosts a small number of transport aircraft transport type An-28 / Bryza. The Navy’s 44th naval aviation base has a slightly more complex structure since it operates from two air bases: Siemirowice (Kaszuby Air Group) and Darłowo (Darłowo Air Group). While the first one is mainly dedicated to operations with the AN-28s, the Darlowo one is dedicated to helicopter missions. It houses Mi-14s (in PL and PL / R versions), PZL W-3s and a small number of Mi-2s. Naturally, the tasks of naval aviation in the Baltic Sea are closely related to those of the navy; the most important of these being anti-submarine warfare. This is a major challenge because of the shallow waters of the Baltic Sea, the topography and the typology of the sea floor. The other mission, strictly combatant, is the recognition and indication of targets to the ships for the benefit of the Missile Marine Unit, the most modern section of the Navy, equipped with Norwegian NSM missiles with a range of 200 kilometers. In addition to “strictly” military missions, the most visible work done by Naval crews remains tied to search and rescue missions. Operational H24 and aircraft operate on a 30,000 km2 area of ​​responsibility in the heart of the Baltic. Unlike many other countries, all search and rescue tasks in Poland (both on land and at sea) are carried out by the armed forces. The majority of naval aviation helicopters currently operating are machines from the W-3 Sokół family produced in Poland. The Polish Navy was indeed its first military user. 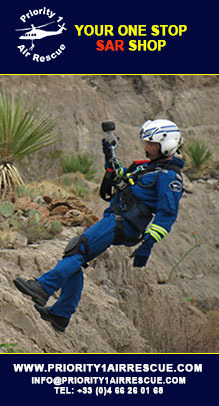 Two first two in the W-3T version were delivered in 1989 and used for training and transport purposes (they had no life-saving equipment) and four aircraft delivered in the emergency version W-3RL Anakonda. These helicopters were originally equipped with a winch, floats and a flare release capability. Naturally, it turned out that over time, four aircraft could not cover all their needs. In fact, following the political changes, the country opted for a temporary collaboration with the Petrobaltic company, owner of an oil platform near the Polish coast. 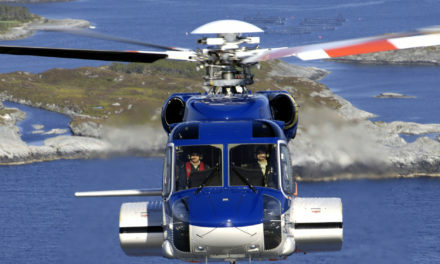 Under the agreement, the Navy used a company helicopter for nearly 20 years in exchange for crew transportation and delivery of platform supplies. 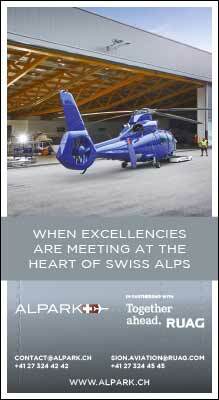 Subsequently, and during the period 1998-2002, three more helicopters in the new WARM version were delivered. These were equipped with FLIR Safire Star II heads, an AIS system for faster vessel location and a Nightsun Nx-16 reflector. At the beginning of 2014, an agreement between the Ministry of Defense and PZL-Świdnik (part of the Leonardo company), is signed as part of a modernization of the entire Navy W-3 fleet. The main objective is to unify the aircraft and bring them to the W-3WA / W-3WARM standard, including the integration of a digital FADEC, a new FLIR electro-optical sensor, reflectors and modernized electronic equipment. However, the modernization process was delayed. The latter, combined with a small number of Mi-14 rescue, was the subject of intense political discussion on insufficient operational capacity for SAR operations. In the end, five aircraft were modernized with the first delivered in 2017. In addition to the PZL-3, Poland added Mi-14 helicopters to its military fleet in the 1980s. Two versions were received, one anti-submarine (PŁ), delivered in two batches of six aircraft between 1981 and 1983 and four SAR – Search and Rescue – (PS) aircraft delivered in 1984. In the early 2000s , the entire fleet of Mi-14 was equipped with new means of communication GPS, VOR, VOR, TACAN and IFF. At the same time, a part of the PŁ version aircraft received various modernization elements such as a modified OKA-2M / Z Słowik sonar, a new Kryl-lot underwater research and data transmission system as well as a new latest generation magnetometer and a krab buoy plotter. If the helicopters of the first series of production were modified, including the option of using the Eurotorp MU-90 Impact type of torpedo, the machines used extensively for the rescue missions, will arrive as quickly as possible. As the Polish state has no prospect of buying new aircraft, the latter has decided to fully convert two Mi-14PŁs (A1012 and A1009) to the PŁ / R standard. This modification, which is intended to be temporary, entails the removal of all anti-submarine control equipment and the integration of large cabin doors, which has a significant impact on the structure of the fuselage. The PL / R version is also equipped with a Buran weather radar as well as a DF430 compass radio for use in finding survivors. The winch is replaced by a more powerful SŁP-350 model. Despite these few changes, the report on the current situation of the fleet of Mi-14 is overwhelming. 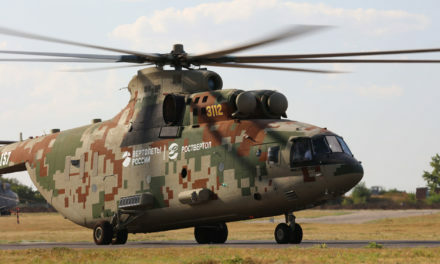 The Polish naval force had to withdraw four end of life Mi-14 PL from the first series, and two machines type PŁ / R. Due to a delay in the successor purchase program, however, the command has decided to extend the life of two life-saving appliances and six anti-submarine aircraft by four years. The modernization project, which should last several years, resulted in the delivery of the first aircraft (A1012) in early summer 2018. While the aircraft fleet is mainly focused on Soviet-origin equipment, the Polish naval force uses some US SH-2G aircraft. The latter were received in addition to the integration by the Polish naval force in the early 2000s of two frigates type “Oliver Hazard Perry” withdrawn from the service by the US Navy. Three of the four aircraft, purchased for $ 4 million, have been adapted to carry the modern MU-90 torpedo (like the Mi-14PL) and equipped with the Garmin GPS system, a compass radio and a firing position from the side door with PK 7.62 guns. For the time being, the future of naval aviation is suspended by many decisions. It remains confronted with a latent aging of its fleet and in particular that of Mil-14. In 2012, after lengthy litigation in the 2000s, the government issued a call for tenders for the purchase of 26 aircraft on the basis of a common platform. 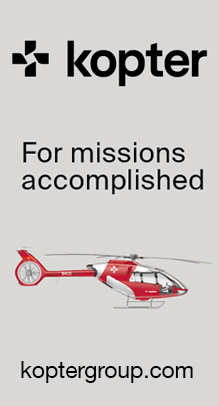 The latter, intended to reduce operating costs as well as the price and maintenance of aircraft in Poland, included the replacement of Mil-14s in long-range SAR missions and those dedicated to anti-aircraft operations. underwater by new machines. A year later, the scope of the purchase is extended to 70 aircraft, including 12 aircraft (six for the SAR and six for the ASW mission) operated from the Darłowo site. 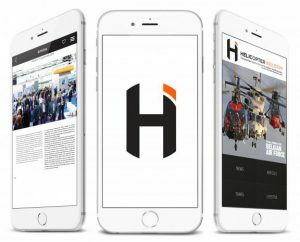 For this call for tender, three companies are then selected: Airbus Helicopters with the H225M, AgustaWestland and AW149 and Sikorsky with its S70i. 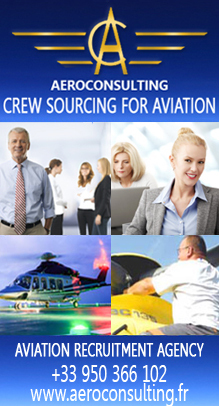 After a lengthy procedure, only the Airbus offer fulfilled the formal requirements at the time. After several tests with the H725 Caracal, Poland is acquiring 50 units. 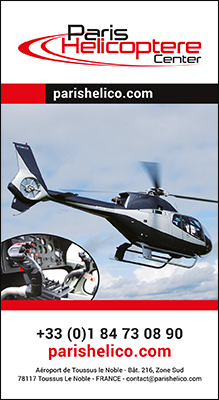 The signature also mentions a “support” contract including simulators, training, spare parts and extended maintenance. In the terms, Airbus Helicopters engaged economically with the country by installing in particular an assembly plant in Łódź. The contract then provides for the acquisition by the Navy of 13 aircraft including 8 in ASW version and 5 in CSAR version as well as the installation of one of the simulators on the Darłowo site. But the 2015 national elections call into question the contract which is canceled by the new government. 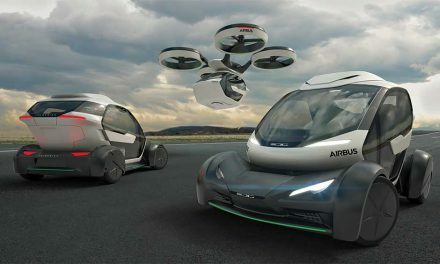 During his campaign, he had indeed promised to cancel the tender and place an order at a lower price than that required by Airbus but also favored producers with factories in Poland. 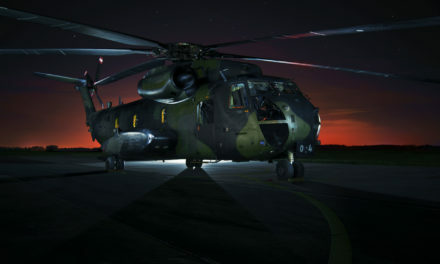 The announcement is a bombshell on the European level and sows consternation with helicopter pilots of the various armed forces, who see the particular situation of their fleet back to the starting point. In the meantime, the new Minister of National Defense, Antoni Maciarewicz, announces a new delivery of S70i helicopters, and possibly AW101, at meetings with workers at the Mielec and Świdnik factories. The mode of purchase, opaque, and a series of untimely statements that ensue will ultimately be the reason for this promise. Finally, two smaller bids, defined as the most urgent, will be “open”, including one for the Navy with the planned purchase of four ASW helicopters with SAR capabilities and four more as options. It is interesting to note, however, that this call for tenders was not a priority and that it remained less advanced than the parallel tender for the purchase of 8 helicopters for the Special Forces. For the navy, the combination of ASW and SAR on a single aircraft remains constraining. 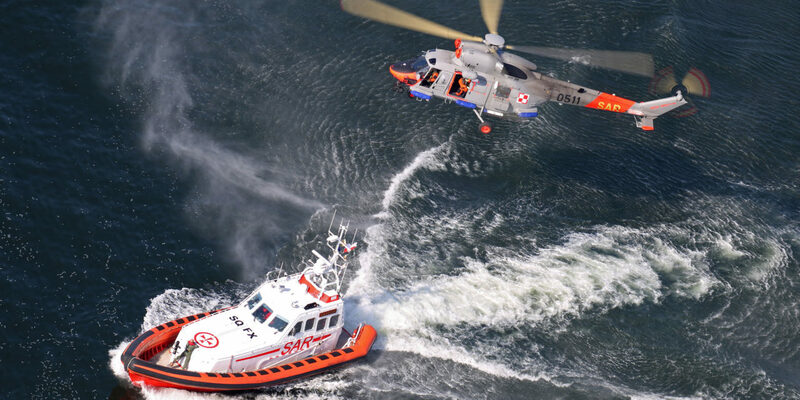 With only four aircraft ordered, the Polish Navy will be forced to limit the role of anti-submarine missions because of the need to conduct H24 SAR operations and train crews. The question remains open whether they will be universal crews trained on both specialties, or if they will only specialize in one of the tasks. In the new tender, the rivals are again Airbus and its H225M and PZL Świdnik / Leonardo Company for the AW101, the latter being the favorite with the local media. 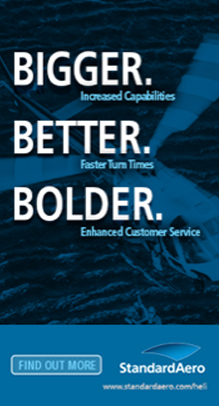 It is interesting to note, however, that the procedure does not involve Sikorsky and his S70i. And despite an urgent decision, the pace of the tender does not give much reason to be optimistic. Because a much more advanced competition for a special forces helicopter has not even entered the final bidding phase. In fact, the consequences for naval aviation are worrisome because there is indeed a real risk of a gap between generations of aircraft due to the aging of the Mi-14 fleet and the absence of successors. Jan Heweliusz’s ferry accident in January 1993 remains a vivid memory, as well as the role played by helicopters during this tragedy. And the risk of a similar and large-scale maritime disaster in a remote corner of the Polish area of ​​responsibility cannot be ruled out. The urgency of the current lack of means and the impossibility of ensuring security only with PSL W-3 should therefore lead the political authorities to take a quick decision. Although the situation is particularly tense in SAR missions, it is however more nuanced for the anti-submarine warfare. In order to extend the patrol and reconnaissance capabilities of the naval force, and within the framework of cooperation with the ultramodern naval missile unit, the Ministry of Defense has launched another analytical and conceptual phase of the Rybitwa program, which should lead to the acquisition of three planes.